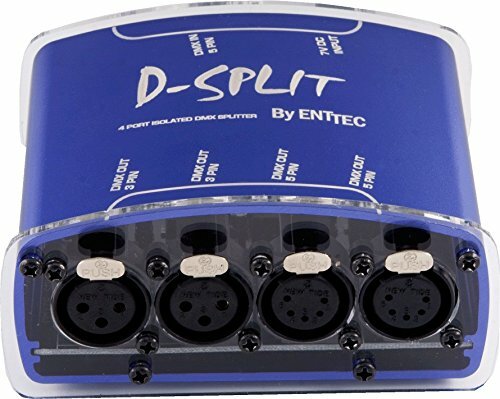 Save 1% on the Enttec D-Split DMX Optical Isolator / Splitter by Enttec at IGWT. MPN: 70572. Hurry! Limited time offer. Offer valid only while supplies last. D-SPLIT is an optical isolator/splitter for DMX512. Its purpose is to allow the user more flexibility in connecting their DMX controlled devices. If you have any questions about this product by Enttec, contact us by completing and submitting the form below. If you are looking for a specif part number, please include it with your message.